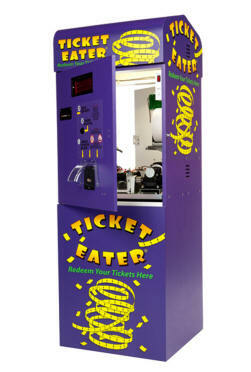 The Deltronic Labs, INC.® Ticket Eaters allow you to count and destroy redemption tickets in one, fast operation. 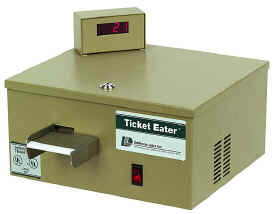 Available in three models, Ticket Eater® from Deltronic Labs, Inc.® counts, tracks, and destroys standard 1 5/32" x 2" redemption tickets easily and accurately at a rate of 13 per second yielding faster and more accurate counts. 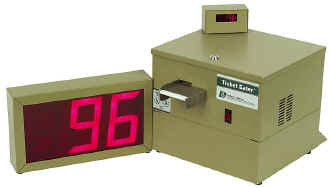 PROVEN, TIME TESTED, Deltronic Labs design with ENHANCEMENTS NEW “dust dodging” scanner design with superior security & accuracy! Two independent Eaters, one small foot print - Only 24” X 24”!!! 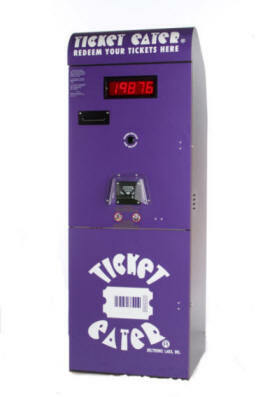 Multi-unit - Major unit cost and floor space savings! 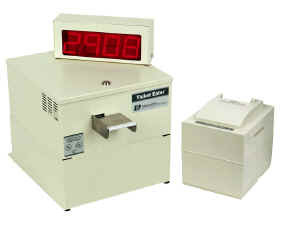 NEW “dust dodging” scanner design with superior security & accuracy!